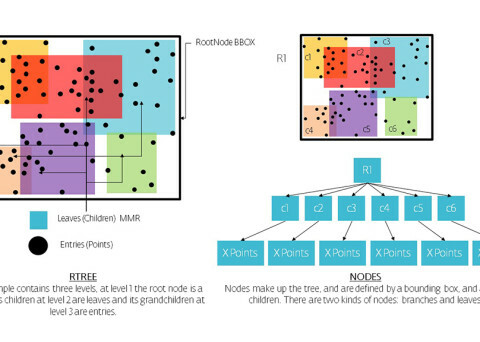 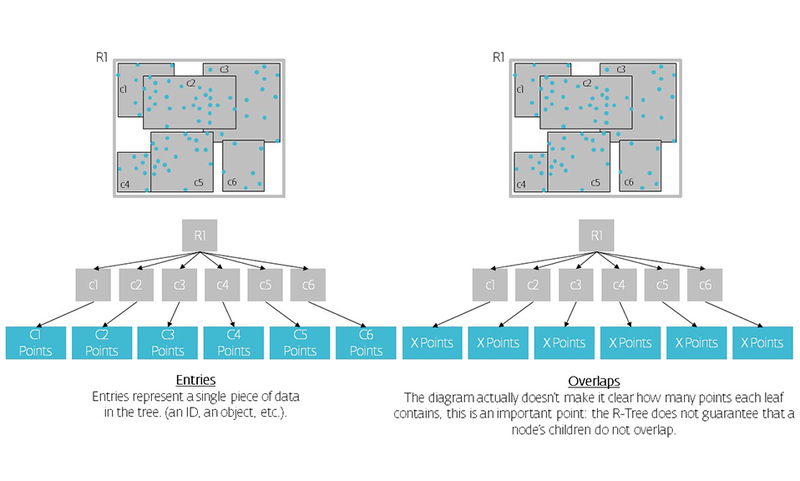 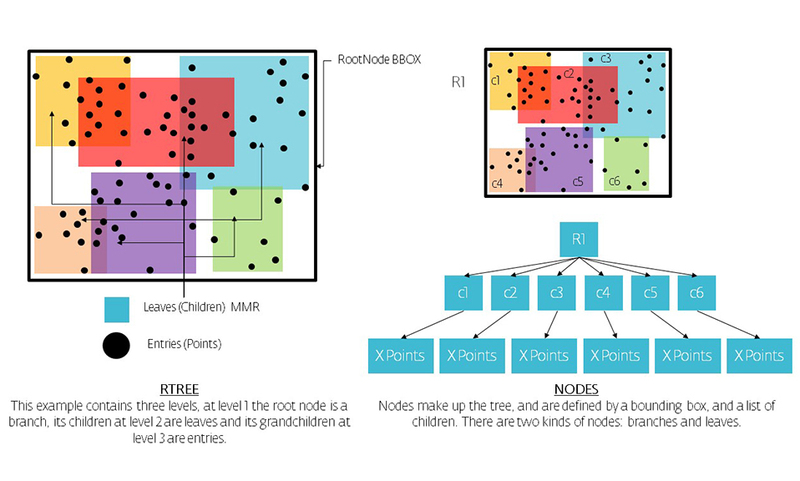 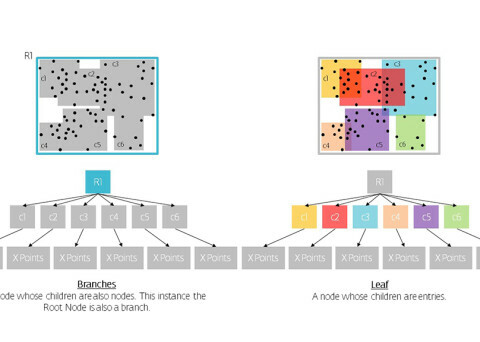 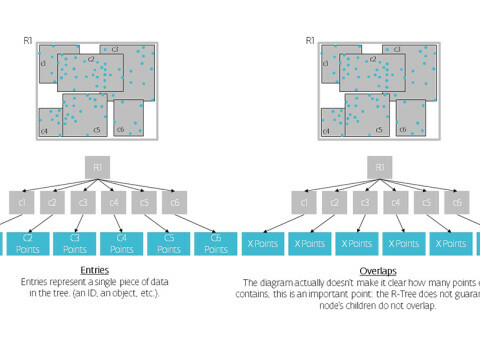 R-trees are balanced tree data structures used for spatial access methods in N-dimensional space. 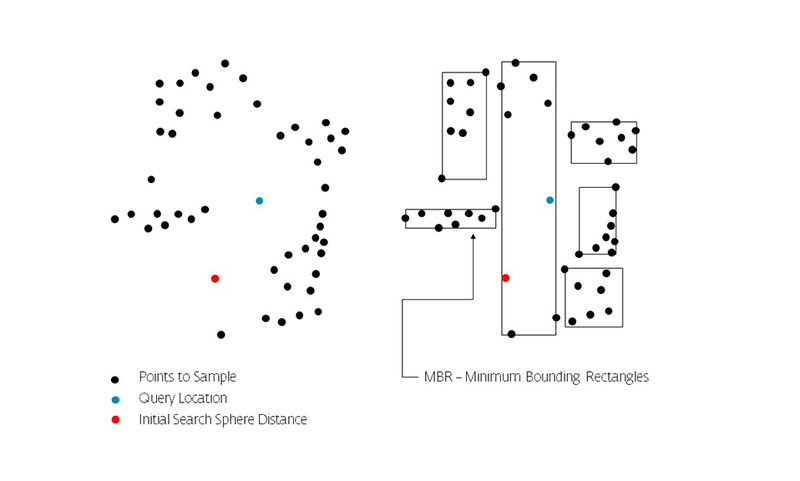 Implementing the RTree Class will allows us to reduce the search space by incorporating a searching sphere or bbox . 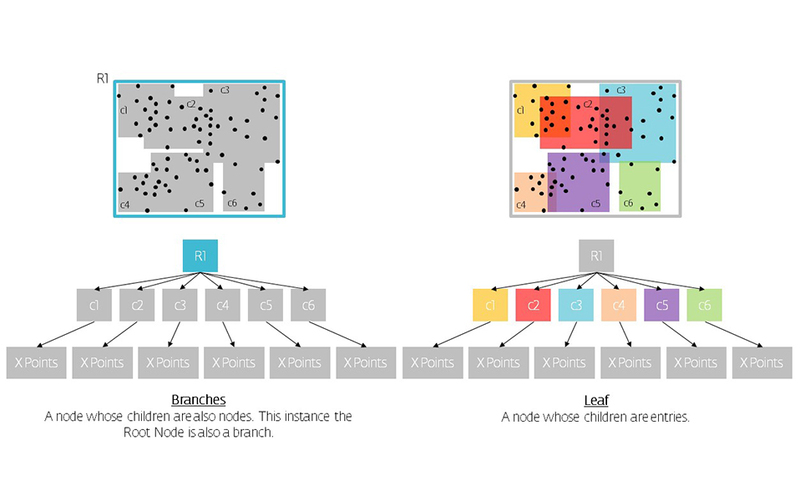 R-tree is also a balanced search tree (so all leaf nodes are at the same height), organizes the data in pages, and is designed for storage on disk. 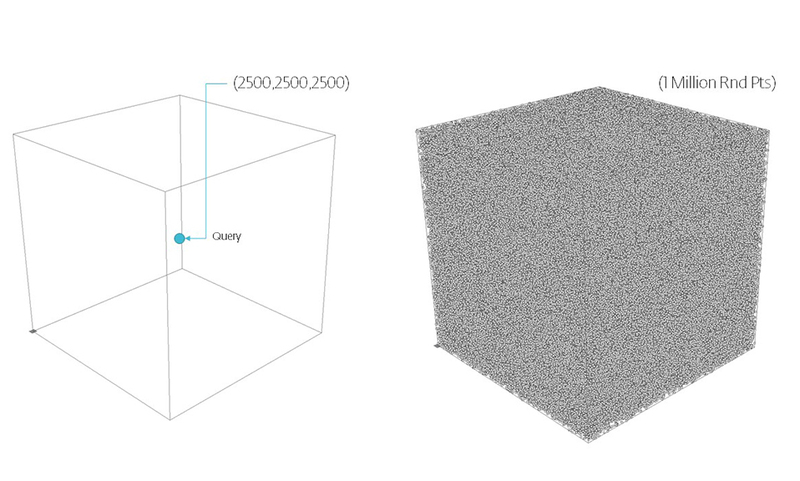 Calculation Time Comparison Between Code Versions in Seconds Agent Interactions while Mesh Sampling – Seeking for closest values within 4 units of their current position. 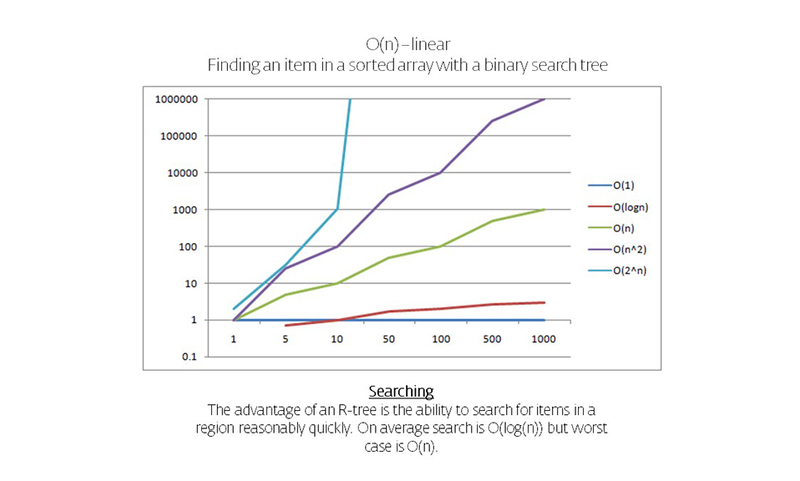 Why the drastic difference in performance? 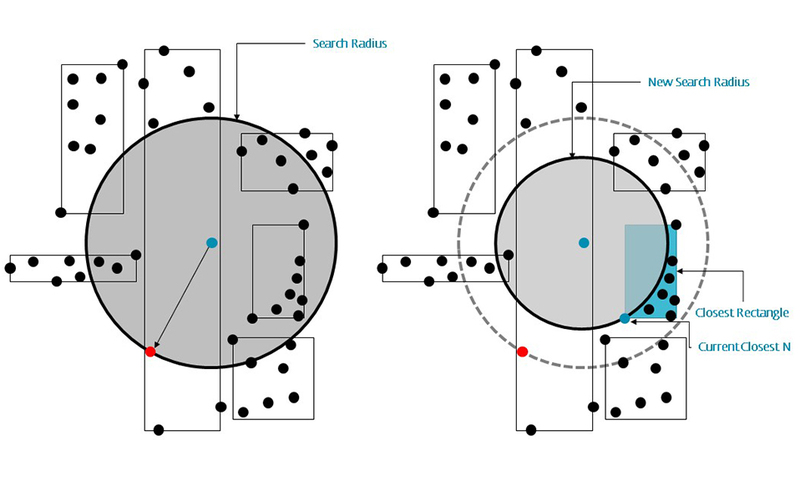 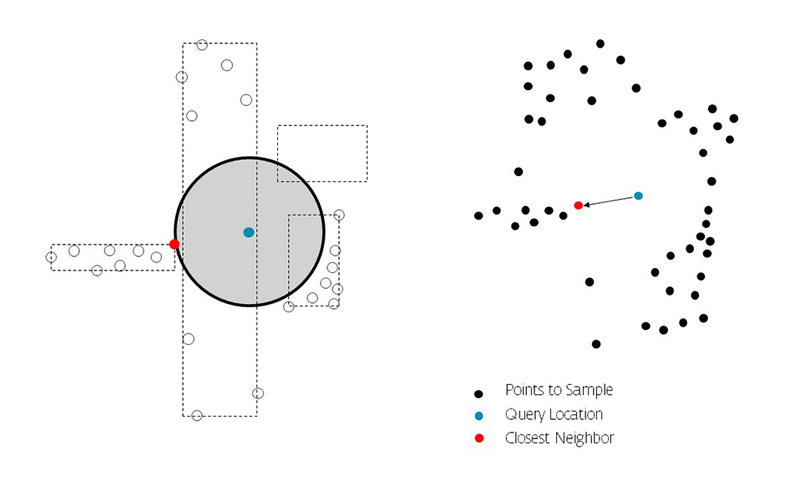 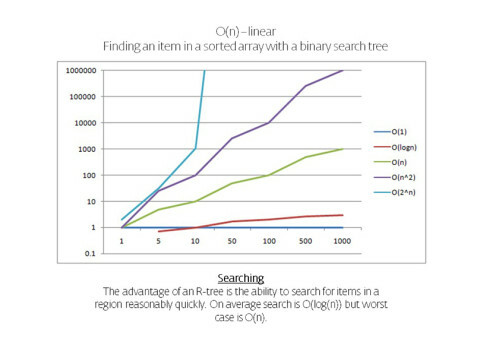 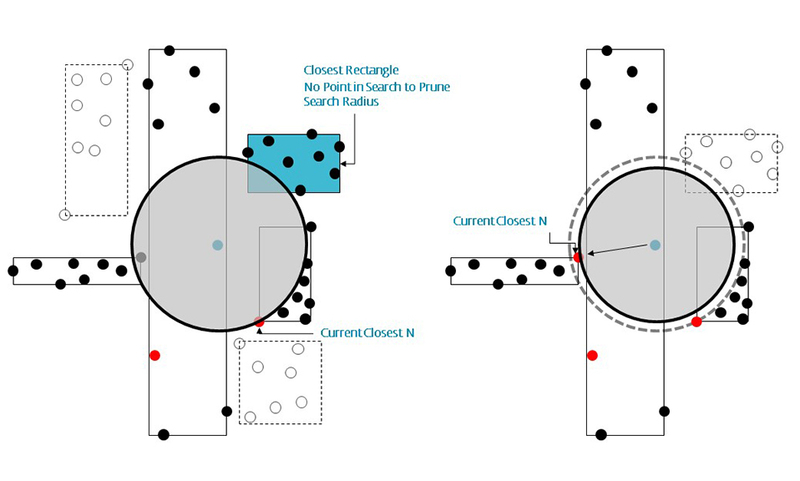 Searching an arraylist based on distance requires a search to all elements within the Array, while using a Data Tree Search Space Algorithm will reduce the search space to a specified range (search sphere size or bounding box size) The search uses a distance (radius) to prune the search tree, meaning any elements that lie outside of the search radius will be omitted from the search therefore dramatically reducing the calculation time.